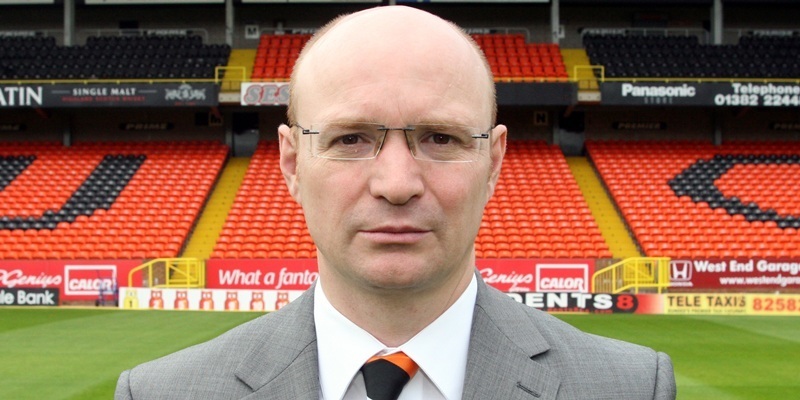 Dundee United chairman Stephen Thompson has hailed the root-and-branch reform of the SFA as the “biggest change” in Scottish football’s history. The call for a wide-ranging restructure of the game’s governing body received unanimous support yesterday, with all 93 member clubs backing chief executive Stewart Regan’s proposals at the annual meeting at Hampden. The Regan blueprint includes alterations to the board and committee structures of the SFA and the introduction of a judicial panel to speed up disciplinary procedures. Clubs also backed plans to give greater support to referees, allowing the judicial panel to sanction public comments about referees and “harassment” of match officials. Campbell Ogilvie, the managing director of Hearts FC, was confirmed as president to replace the departing George Peat, while Alan McRae, of Cove Rangers FC, was elected as first vice-president and Hibernian FC chairman Rod Petrie second vice-president. Regan himself described it as a “truly historic day” and Thompson, who travelled to Glasgow to lend the Tangerines’ backing to the clean sweep of the corridors at the national stadium, wasn’t arguing. “It was great to see these proposals given such fulsome support and I am really pleased because I was all for reform,” said Thompson. “This is a very, very big change. In fact, I would say it must rank as the biggest change in Scottish football’s history. Just one example of the new way of working will be that disciplinary matters will be dealt with in three to four days instead of the weeks we have had up to now. St Johnstone FC chairman Geoff Brown also welcomed the move, saying, “Anything has to be better than what they had before.”TriumphIt was a triumph for Regan, who will now be running a much slicker machine. “These are the most significant changes in the 138-year history of the SFA,” said Regan. “I was pleasantly surprised that it (the vote) was unanimous. Going into an AGM you are never quite sure how things will go. We put the groundwork in, covering the miles across Scotland trying to explain the benefits of what we are doing. Outgoing president Peat predicted a “brighter future” for Scottish football as a result of yesterday’s vote, adding, “I am proud to leave my post as president of the Scottish FA on such a positive note. The main changes include the reduction of the SFA board from 11 officials to seven, including an independent member. Two new boards will be created under the main board, one for the professional game and another for the non-professional game. The much-maligned disciplinary procedures will be rewritten and a compliance officer will quickly decide whether cases will be heard by the new semi-autonomous judicial panel. The numerous SFA committees such as the disciplinary, general purposes and emergency panels have been disbanded but an audit committee will be formed to ensure the SFA’s efficient running. The articles of association will also be rewritten and the second vice-presidency will disappear in four years’ time, to be replaced by a second independent board member. Many of the recommendations were prompted by the McLeish review of the game. The new structure will allow the SFA to implement their recently devised new performance strategy, with a performance director expected to be appointed before the new season.